VORTEX 815/120 II is a 5-axis vertical machining center with a tilting spindle. It has five axes-X, Y, Z, A (tilting axis in the back and forth directions of the spindle) and B (tilting axis in the right and left directions of the spindle). 5-Axis Simultaneously Controlled Vertical Machining Centers. 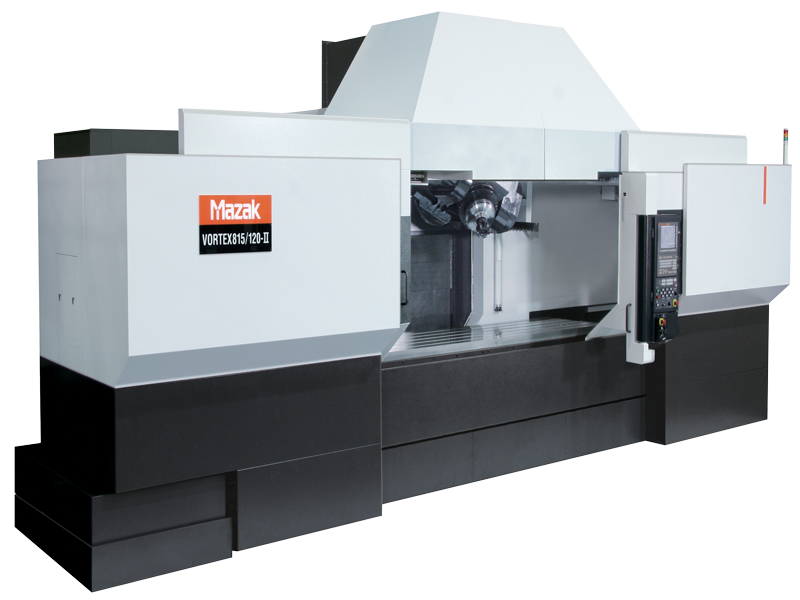 The Mazak VORTEX II series is designed to machine large work pieces such as aerospace components with complex contours with unsurpassed accuracy and efficiency. The unique tilting spindle design provides high accuracy as well heavy-duty machining capability thanks to the employment of backlash-free roller gear cams. High Performance Machining of Complex Workpieces.